The London-based lender has been gauging interest from potential buyers for the business, known as Standard Chartered Saadiq Bhd., according to the people. It is weighing an exit from Malaysia’s Islamic banking market as fierce competition from local rivals has limited its growth prospects, the people said, asking not to be identified because the information is private. people said. It isn’t running a formal process, and the bank hasn’t appointed advisers, the person said. 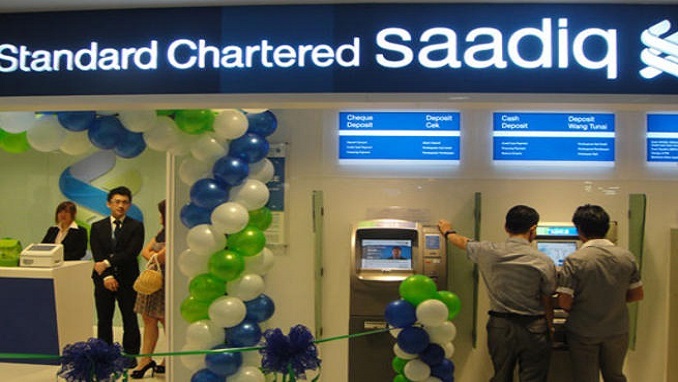 Standard Chartered Saadiq had 670 million ringgit ($165 million) of net assets at the end of September, according to its latest financial statements. Standard Chartered follows other foreign lenders, like Saudi Arabia’s Al Rajhi Bank and Kuwait Finance House, that have been considering exiting their Islamic banking operations in Malaysia. Last year, a consortium including Qatar Islamic Bank completed the sale of its holdings in a local Shariah-compliant lender, Asian Finance Bank Bhd., to Malaysia Building Society Bhd. Malaysia, which pioneered Islamic finance in the 1980s, aims to have 40 percent of its banking assets complying with the religion’s ban on interest by 2020. That’s up from an estimated 30 percent at the end of last year. Standard Chartered Saadiq’ net income fell 27 percent in 2017 to 23.5 million ringgit, roughly a third of its profit five years earlier. Profit after tax for the first nine months of last year more than doubled to 45.9 million ringgit.